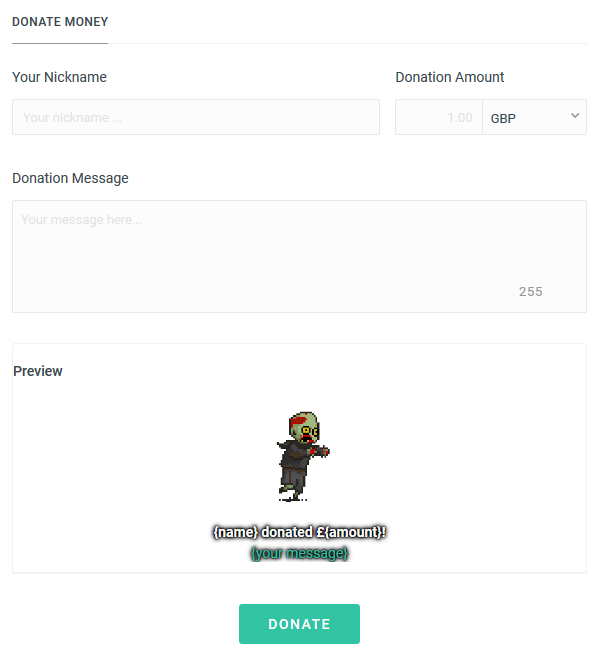 Here you can show your support by sending donations easily with PayPal (via the StreamLabs website). Please understand that this isn't compulsory at all and I offer everything I do for free without expecting any form of payment from anyone. It's completely your choice. If you choose to send any donation I will then feature your name on this page in a list of all donators to say a special thanks! Please add a message and say if you don't want me to do this. You may also specify what name or online alias you would like me to display for you. Please note that donation amounts will be kept private. All donations are final and nonrefundable. Thank you for your support.